Weather Mostly cloudy throughout the day and windy tomorrow night. Located at the western end of Fishers Island Sound, the Thames (pronounced thaymes) River and the city of New London are 20 miles northwest of Point Montauk (Long Island) and about 14 miles northeast of the Connecticiut River at Saybrook. Originally settled by exploers intent on bringing the homeland (London and the Thames) to America, New London is a popular cruising destination on the friendly and easy-to-navigate Thames River. 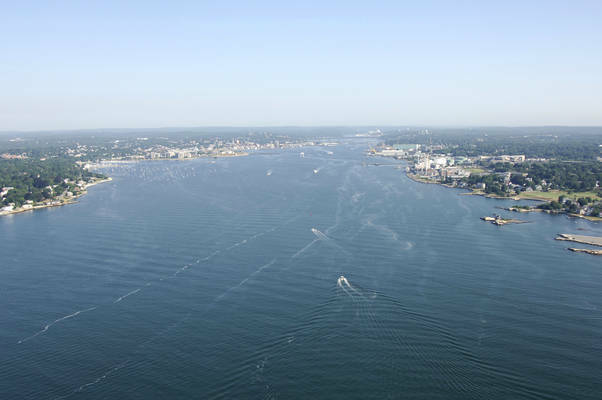 The majority of the marinas and marine facilities are located up the river on New London Harbor in the cities of New London and Groton. 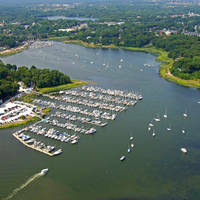 New London has the lions share of the facilities, but Groton does have a variety of marinas on its shores as well (most at the mouth of the Thames River at Long Island Sound). 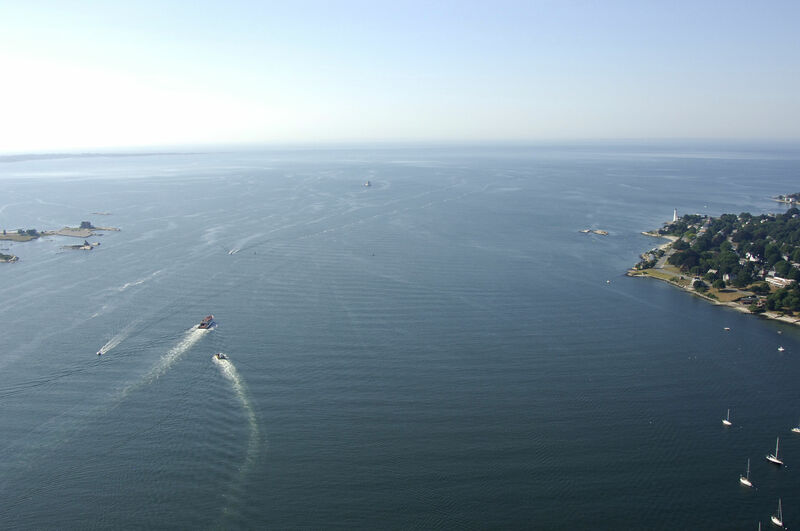 From Long island Sound west of Fishers Island Sound, pick up flashing green buoy 1 and flashing red buoy 2 at the beginning of the approach channel to New London Harbor. Once you have cleared the two aids to navigation, set a course for flashing green 3 and red nun 4 farther near Frank Ledge. Flashing green 5 and flashing red buoy 6 come next past Hobs Island. From here, you can work your way into the heart of the New London Harbor where all the marina facilities are located. Most of the facilities are located on the New London side, but you can also scope out some facilities in Groton (to port) at the beginning of the harbor and farther up around Fort Griswold. No reviews yet! Be the first to write a review of Thames River Harbor Inlet.